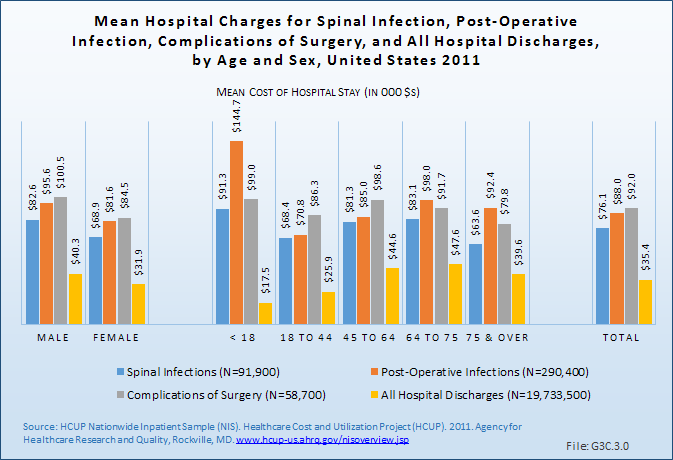 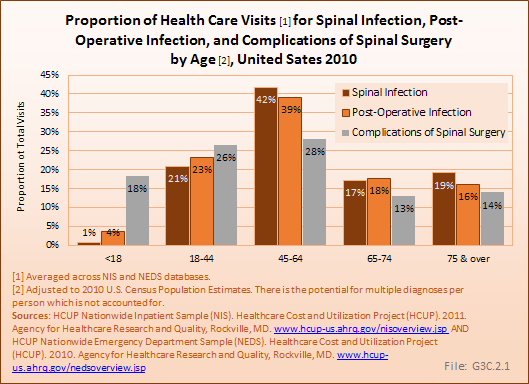 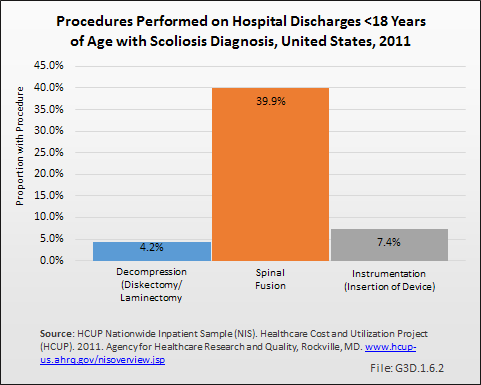 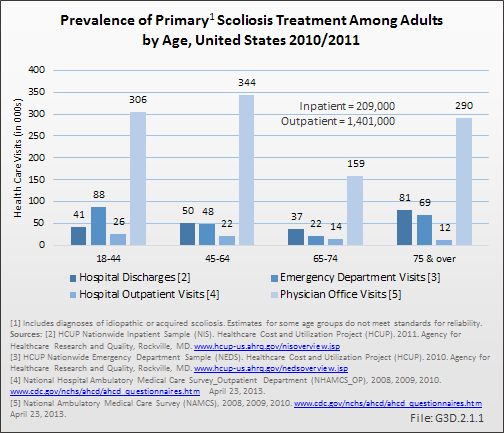 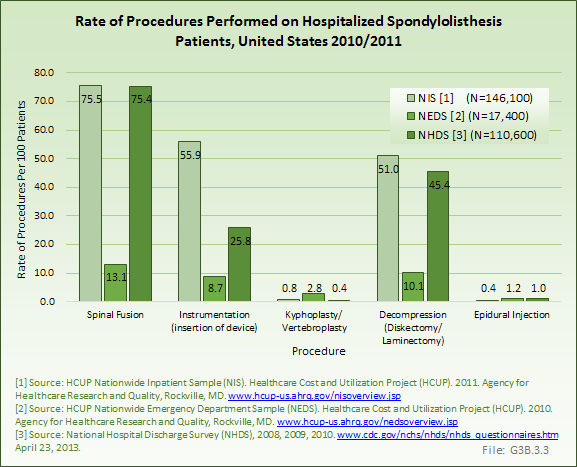 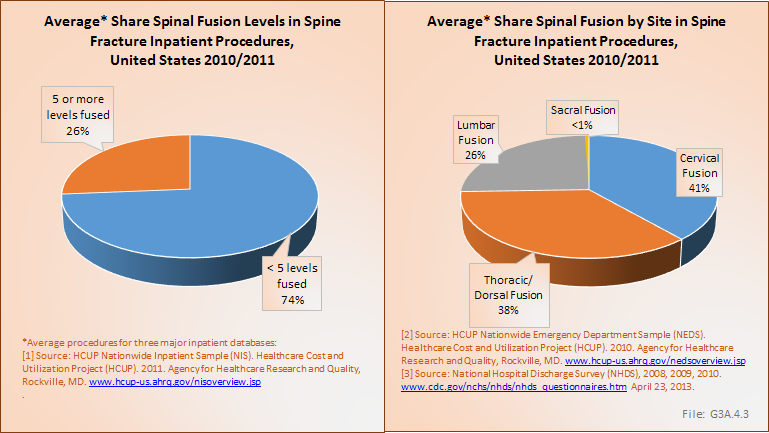 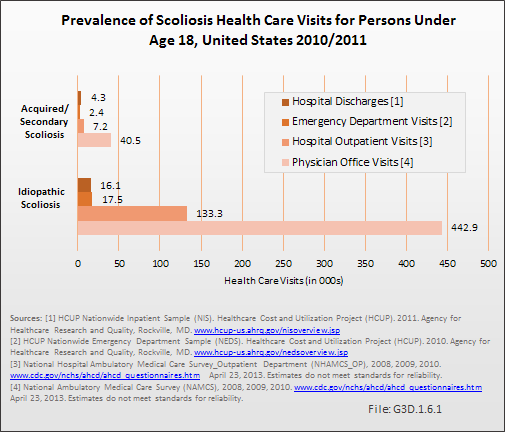 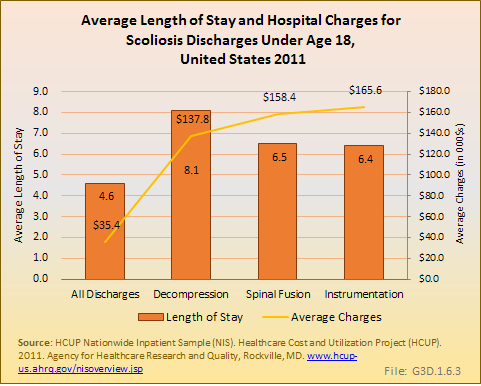 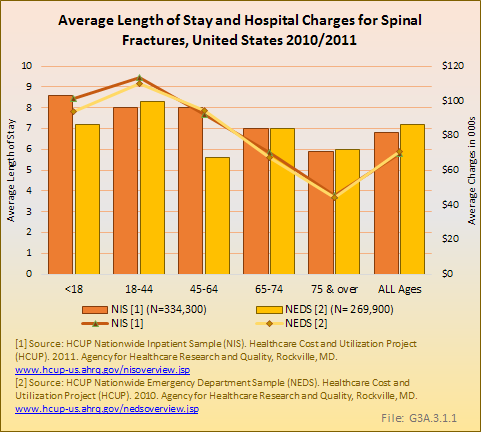 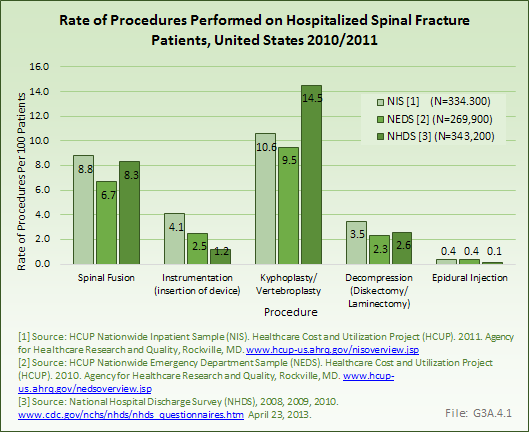 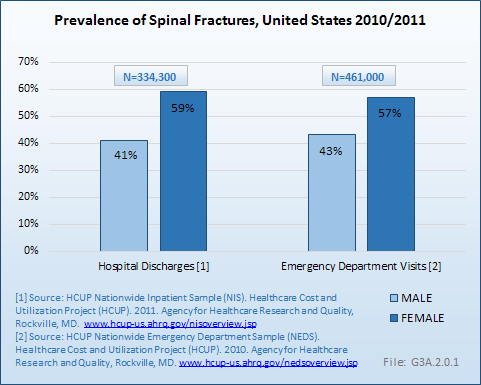 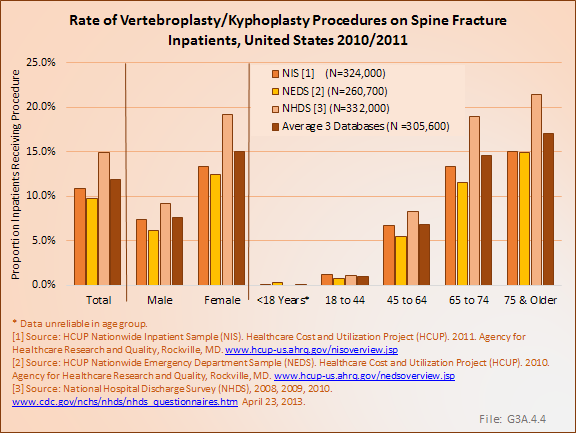 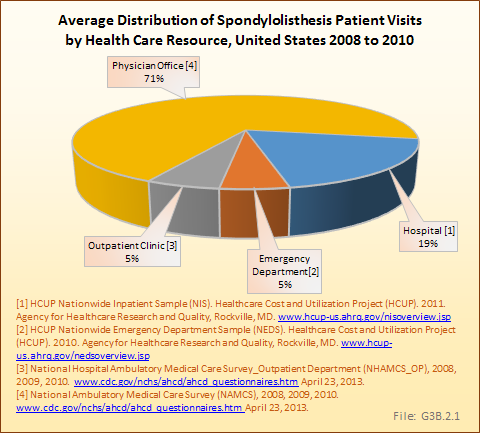 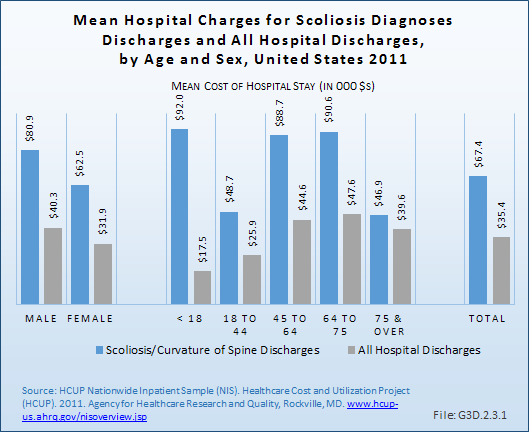 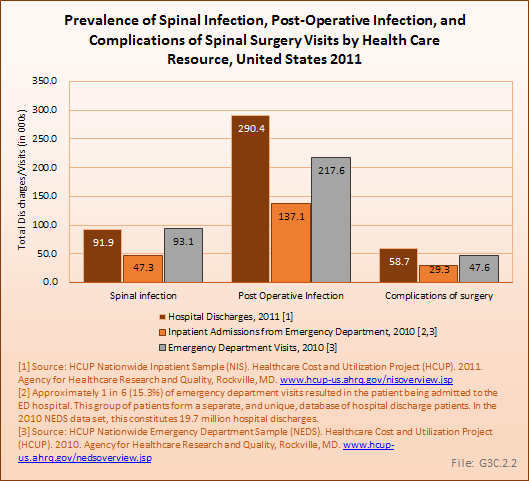 Based on the HCUP Nationwide Inpatient Sample (NIS) and Nationwide Emergency Department Sample (NEDS) databases queried, there were an estimated 795,300 hospital discharges and emergency department visits for spinal fractures in 2010–/2011. 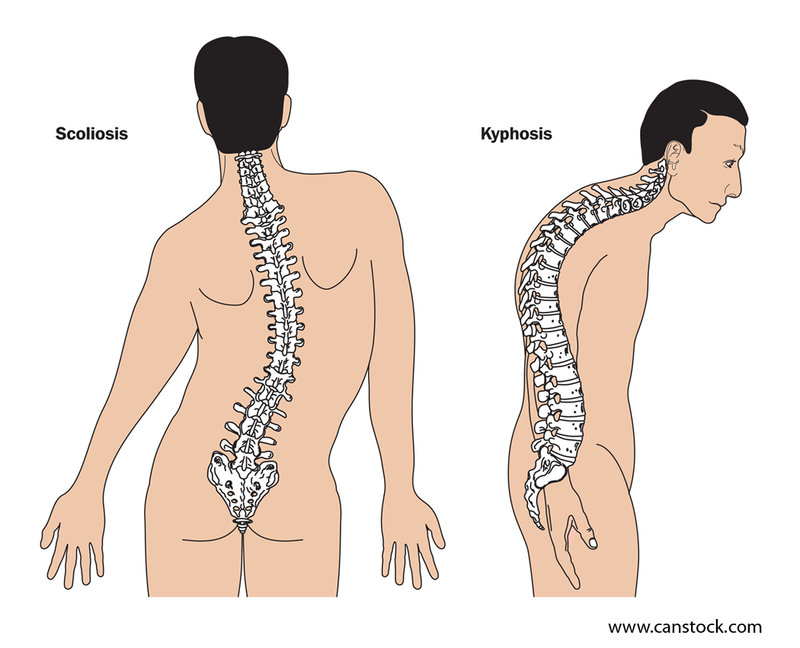 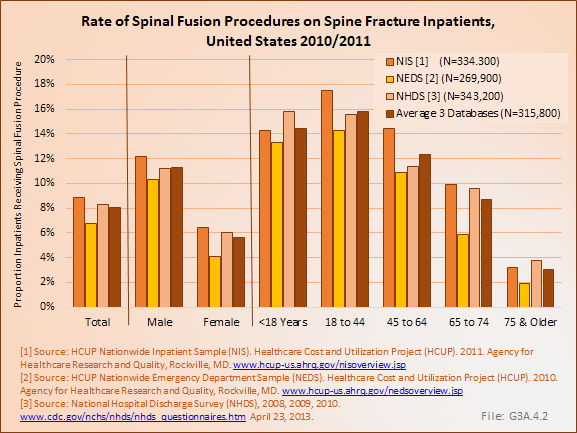 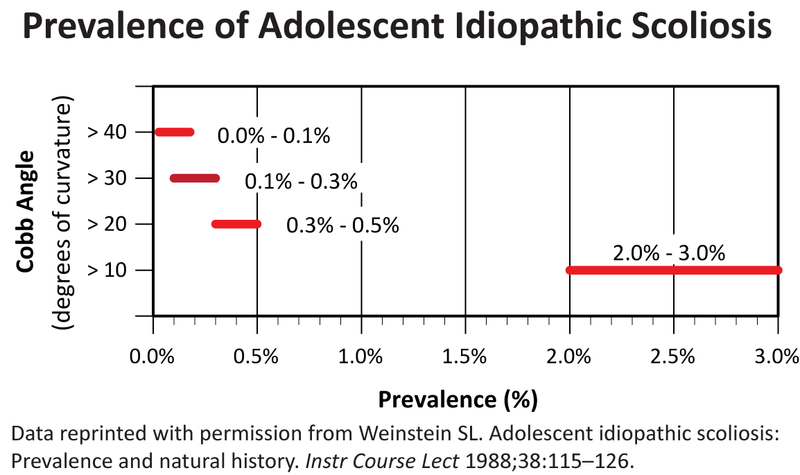 Nearly three out of five spinal fractures occurred in women. 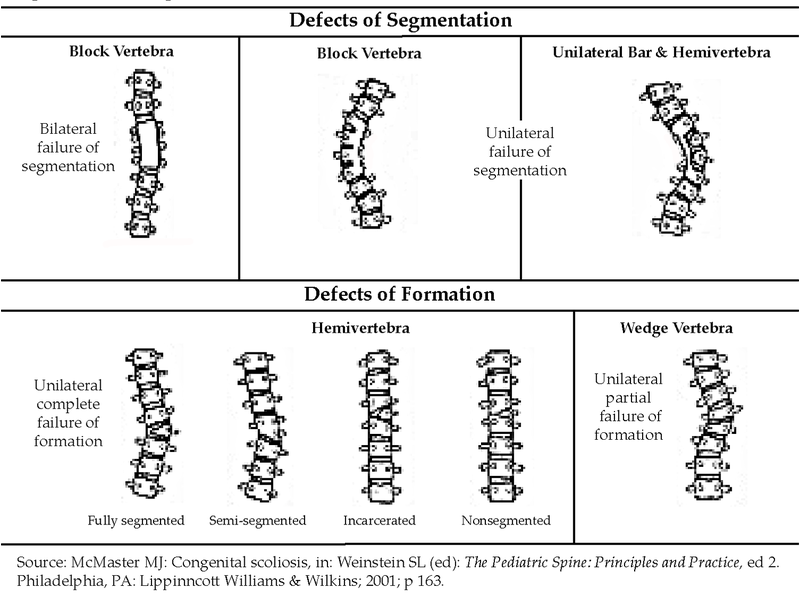 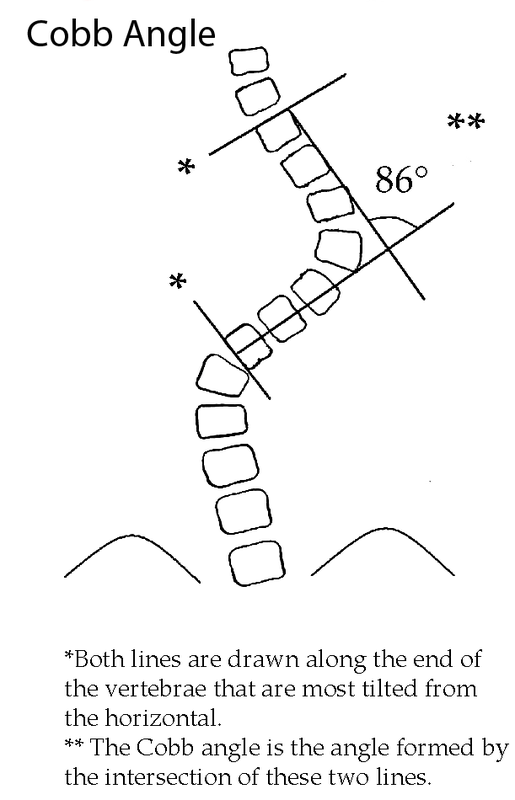 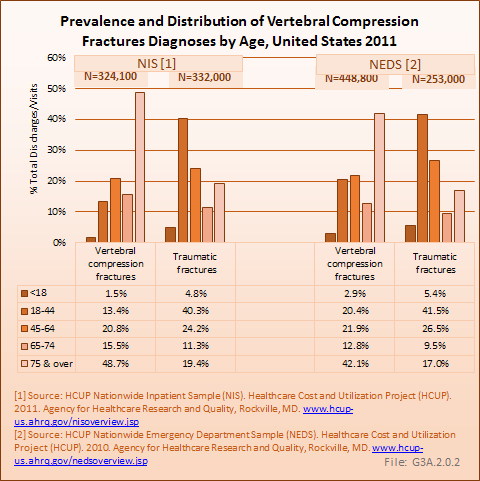 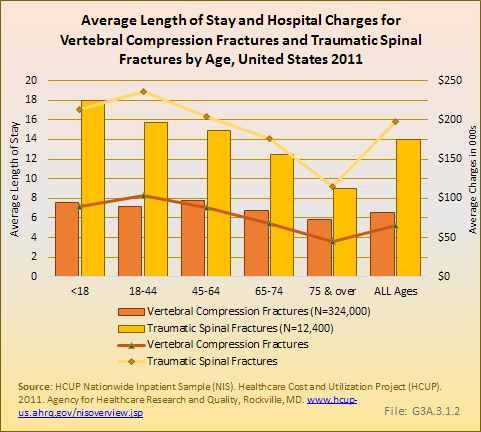 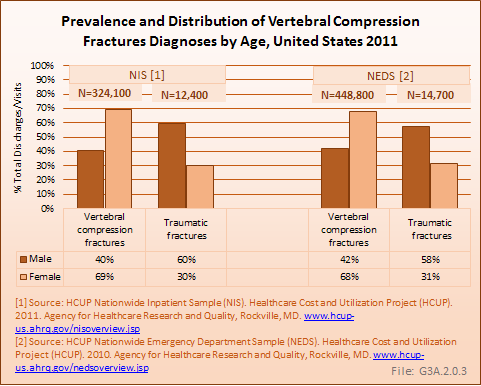 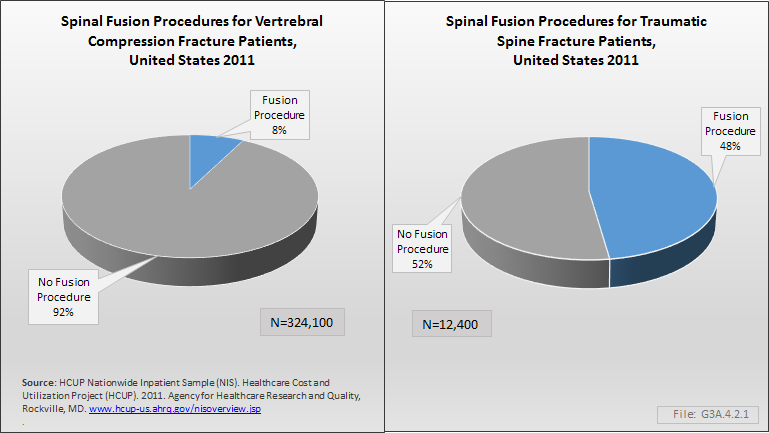 The great majority of hospital/ED combine spinal fracture patients (773,000, or 97%) were treated for vertebral compression fractures (VCF), and more than one-half (58%) involved women. 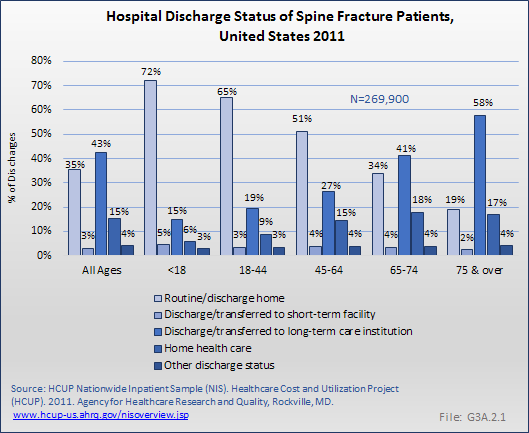 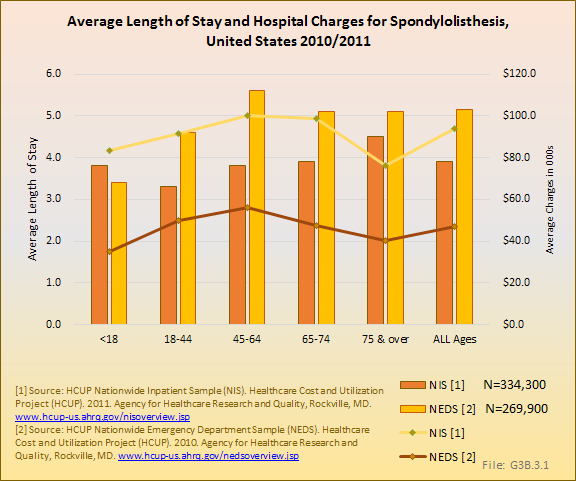 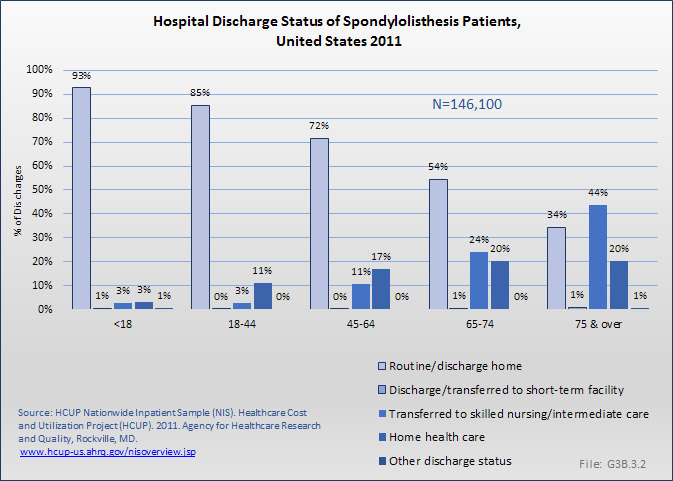 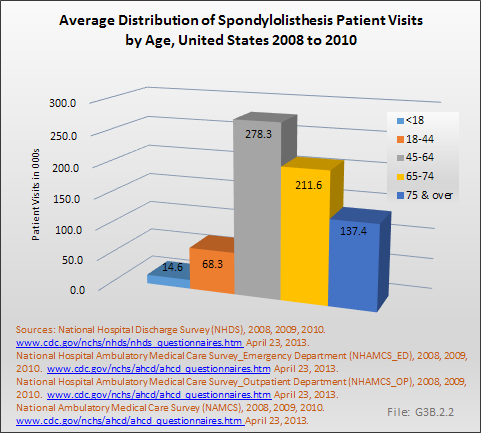 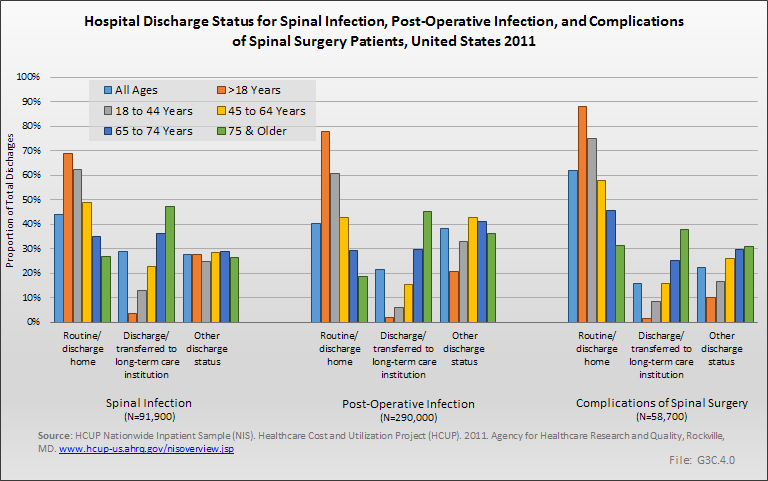 Nearly half of discharges and visits for VCFs were for persons age 75 years and older.